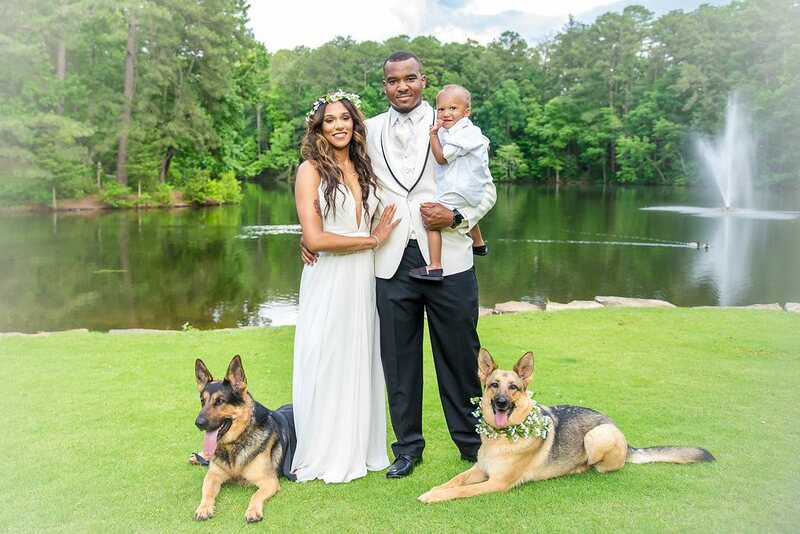 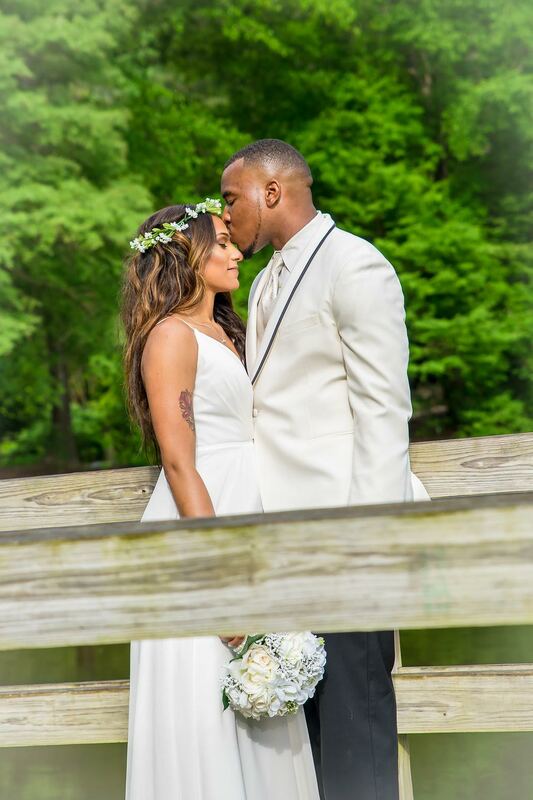 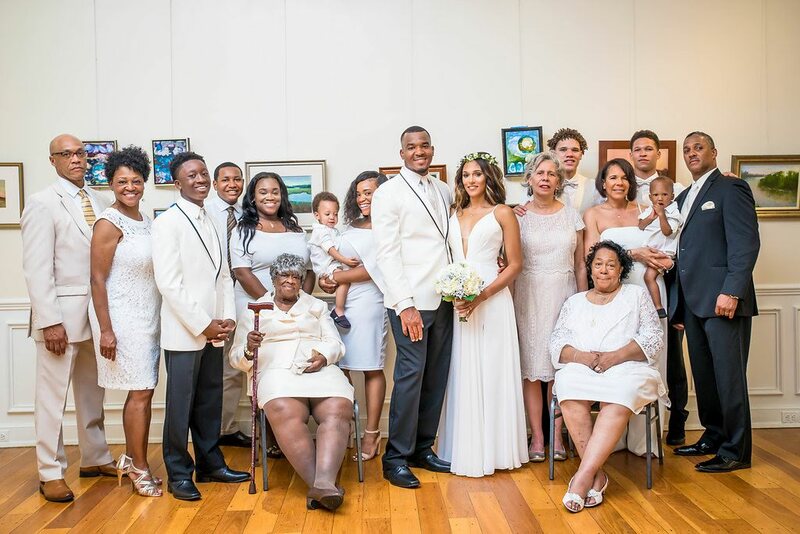 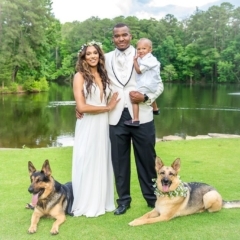 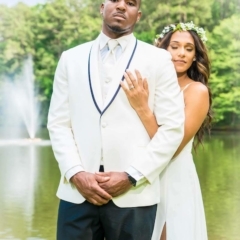 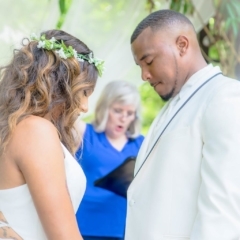 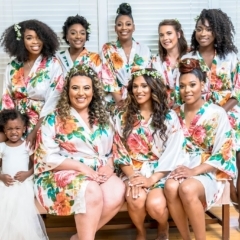 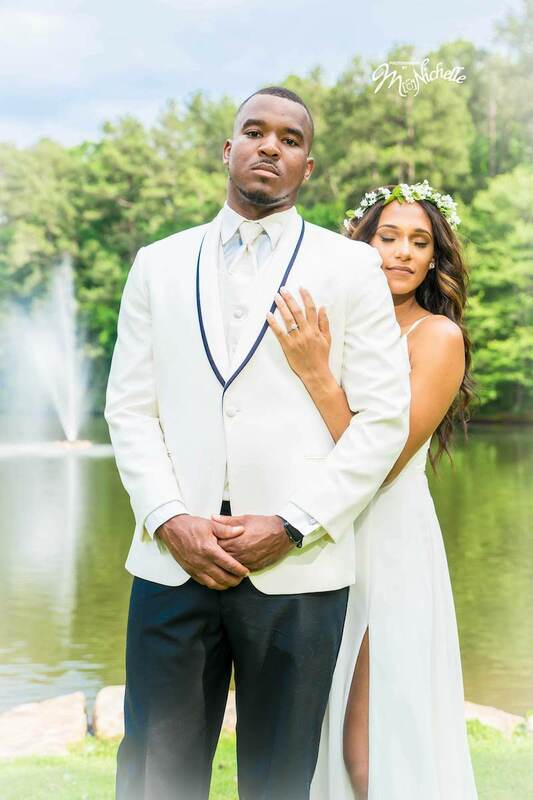 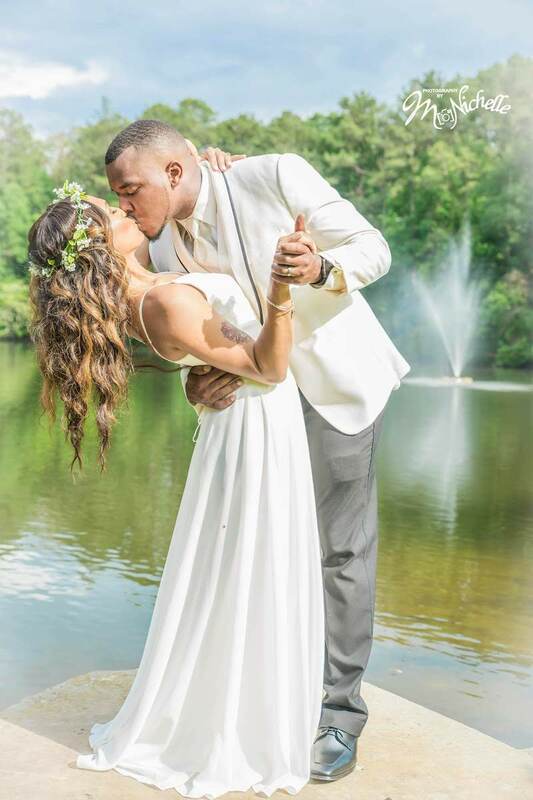 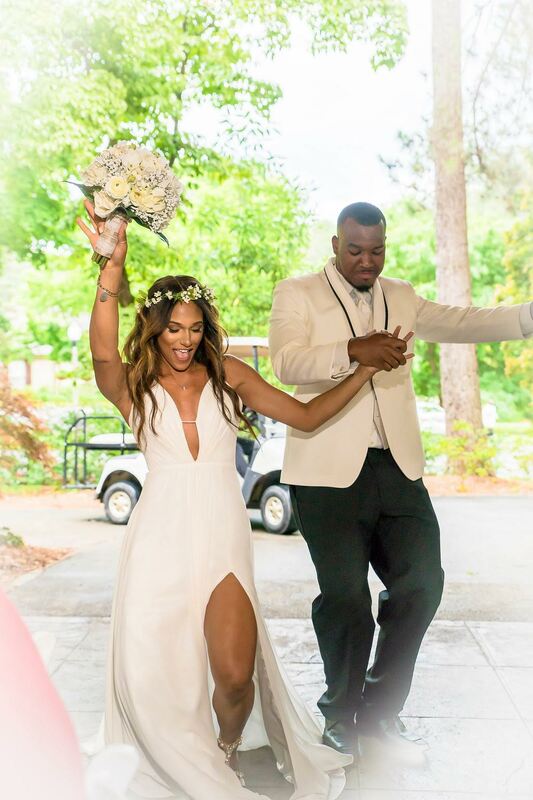 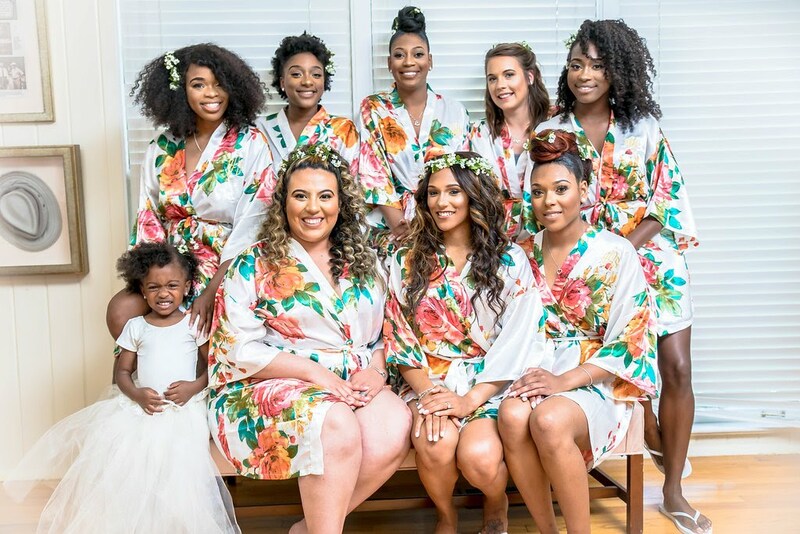 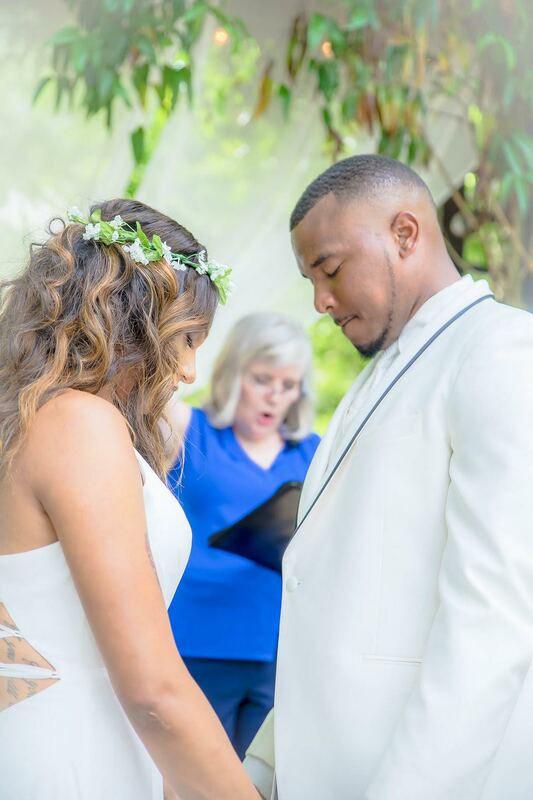 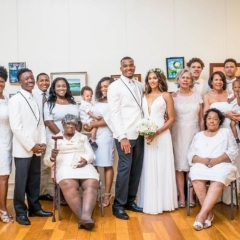 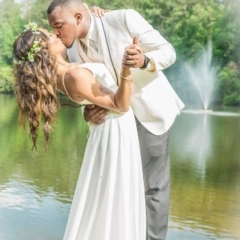 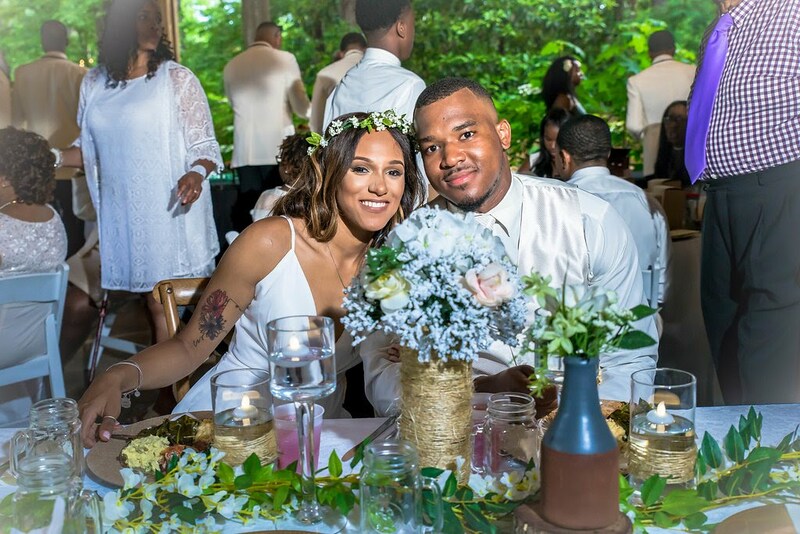 At 3:30 p.m., surrounded by lush greenery and blooming beautiful white and off-white hydrangeas, Erika Thompson prepared to join her future husband, Le’Andre Crawford, at the altar where she would share his last name for the rest of her life. 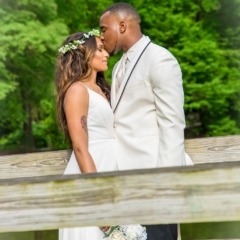 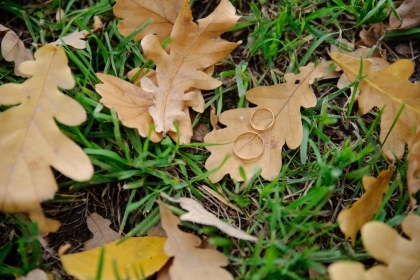 Erika wore a sensual, yet elegant ivory dress for her big day, picked out at Atlas Bridal in her home state, Ohio. 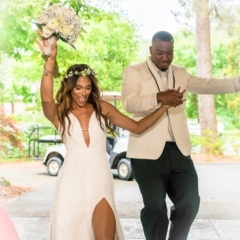 Erika walked down the aisle to the song “Why I Love You” by MAJOR, and the couple had the traditional first dance to the song “Here and Now” by Luther VanDross. 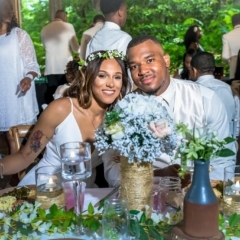 Following the ceremony guests enjoyed a cocktail hour in the garden, accented by floral arrangements made by Tommascena Huguley, the mother of the groom. 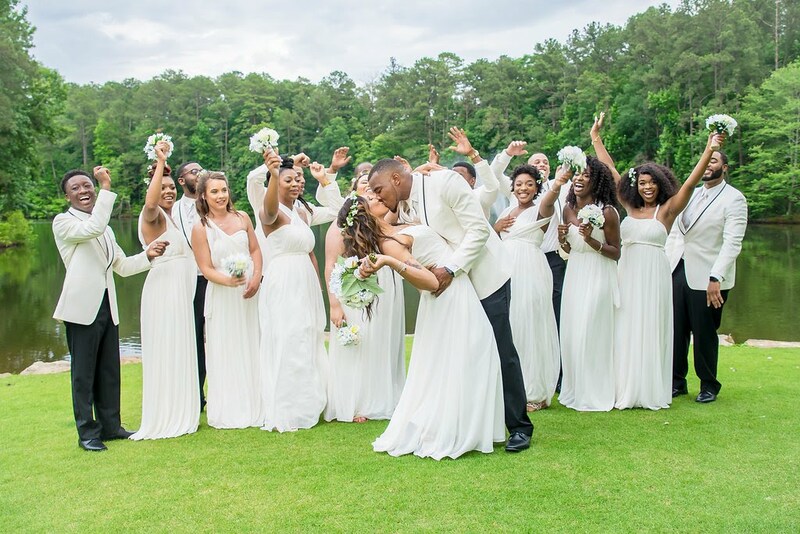 Jim ‘N’ Nicks BBQ catered the reception with chicken tenders, macaroni and cheese, greens, pulled pork, chips and salsa with queso, as well as fruit and beverages. 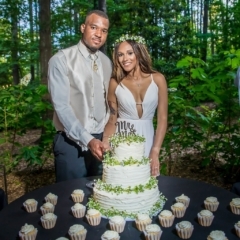 Afterwards, Erika and Le’Andre gathered to cut the cake, which was made by a family friend, Bellcia Sutton. 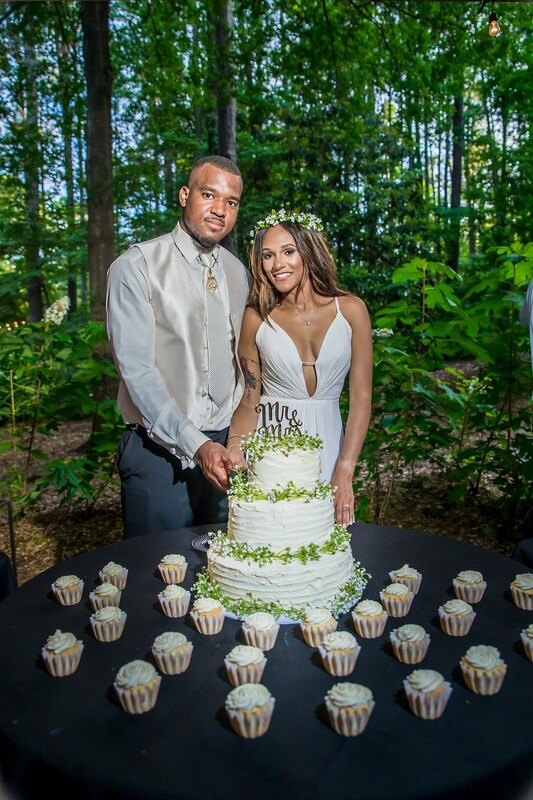 It was a delicious 3-tier white cake, elegantly decorated with baby’s breath, and individual cupcakes. 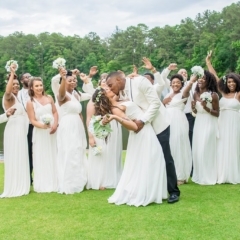 There were also white and chocolate dipped strawberries for the guests to enjoy.